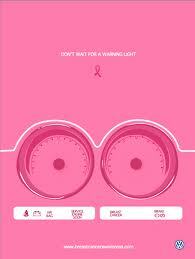 Breast Cancer awareness – objectification or prevention? 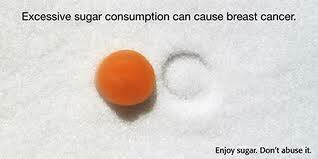 Above are links to an ad for breast cancer prevention and awareness. I understand the need for this type of campaign. However, how is this not objectification and sexualization of a woman’s body. 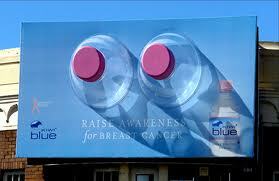 The breast cancer ads are getting more and more focused on just breasts. All of these are ACTUAL campaign slogans with words we in the gender equality world have used to point out the derogatory way of sexualizing and objectifying women as merely body parts and not real thinking human beings. In the anti-sexism world, gender equality, and women equality we are always saying we should not have pictures depicting women as only a body part, or things representing women’s body parts without a body connected to them. 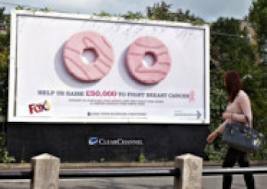 However, as you will see with the multiple advertisements of breast cancer awareness…this is ok because it’s about a disease. (Really? 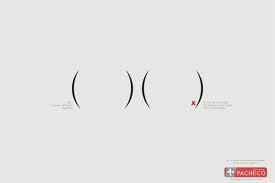 Right.) 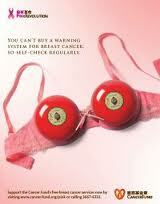 Is this really about a disease, or just a free pass to exploit breasts in a society where we are so breast centered? 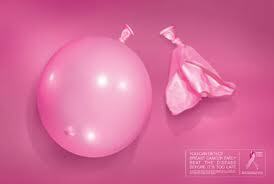 These are merely a small (very very small) snapshot of the campaigns and advertisements out there asking people to prevent breast cancer, and encouraging women to get a mammogram to help prevention. However, after looking through the google search on “breast cancer awareness” I was amazed to see what looked like a teenage boys doodle book. Let me assure you…i chose some of the more tame pictures….but I ask again…is this really about cancer, or is it more about breasts and an excuse to draw, depict, show, display, and play with them? I choose the latter. 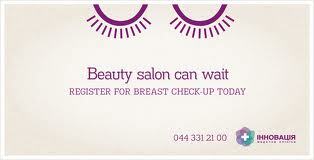 Especially when you look at the death statistics of breast cancer compared with other cancers. As you can see in the chart below…Breast cancer has a significant death toll, but it truly low when compared to cancers we hear very little about such as lung cancer, Pancreatic, colon, and rectal cancer. 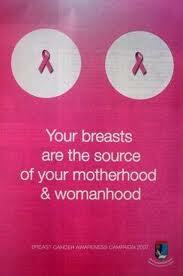 Let us not promote sexism, sexulaiztion of a disease, or objectification just to try to prevent a disease. When we see women as only sexual objects, we promote the abuse of women. well really, since breasts and women are really for men’s pleasure anyway and our bodies don’t belong to us anyway (thank you so much anti-choice!) the ad campaigns should be directed to men who own us anyway, right????!!! oh, gack, puke… how about a campaign now about testicular and prostate cancer…let’s imagine the visuals and bad puns with that one. thanks for sharing opt4; i am so stunned, though i guess i should not be. « We need more men!